- Our show at Sidebar is tonight! Come drink with us and we might even play a new new new song for you! 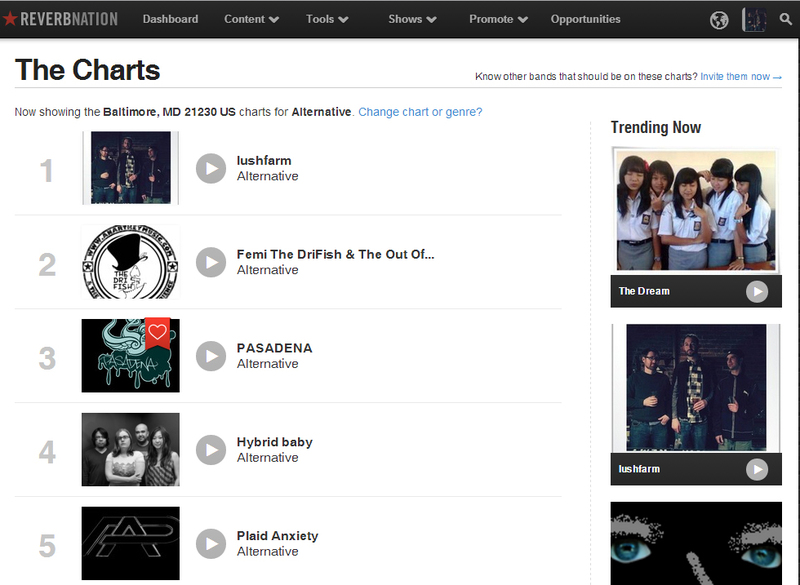 - Also, we are #1 on ReverbNation's Alternative Chart in Baltimore right now!!!!!! I don't know how the hell that happened--and yes, there are more than 3 Alternative bands on the Charts--but we are really excited about it! - We made a promo vid for our Album Release Party which features a personal video of Craig writing the song "Home" AND a sneak peak of the recording!